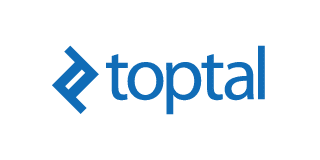 Our detailed Toptal review – one of the leading freelancers sites that connect you with the most talented freelance developers, designers and finance experts. Toptal is an online talent agency that pairs companies with freelance developers, designers, and finance experts. Hiring online gives customers access to a much larger pool of talent, and can allow you to find the perfect fit for your needs. This site is a cut above your average talent site, and advertises that it can connect you with the top 3% of freelance talent. To back up their claim, they put all freelancers through an extensive application and skills testing process which screens for personality and communication traits, technical skills, time management, and the ability to handle a test project before adding them to the pool. Generally speaking, this means that you will pay more to hire through Toptal, but the quality of freelancers is much higher than less exclusive sites. Founded in 2010, Toptal has served over 3,500 customers, including sizeable companies like AirBnB, Google, Walt Disney, HP Enterprise, JPMorgan Chase, Pfizer, and Zendesk. They have built a network of over 200,000 highly vetted freelancers in the fields of development, design, and finance, and they continue to work to match these professionals with the businesses that need them. To start out, you will fill out a form on the site (click here to see the application) which outlines your hiring needs. You will then be connected with a Toptal Sales Specialist who will call you to further discuss the details of what you are looking for. At this point, you are ready to begin your talent search, and you will need to set up billing information and pay a $500 deposit. As talent matches come up, you will have the chance to interview the talent and decide which match moves on to a two-week, no-risk trial. If you are satisfied at the end of the trial, you can hire the talent and settle into a longer-term working set-up. If not, you can walk away with a complete refund (including the $500 deposit) or keep looking for a better fit. Our conclusion for this Toptal review is that this is a great choice if you are looking for the best of the best in freelance talent. The professionals you will work with on Toptal are at the top of their fields, and you will receive personalized help in finding exactly the right talent for your need. The process to find the perfect candidate can take up to three weeks (sometimes even less) but for long-term working relationships, that time is well spent if you end up with top talent. As far as prices, there is nothing cheap about this site, but you are guaranteed satisfaction as you get 100% of your money back if you are not content after a two-week trial period. In addition, when compared to HR costs for recruiting similar level positions, Toptal might actually be a cheaper option. If budget is not an issue, then this is definitely the site for you, but if you’re willing to sacrifice some quality for cheaper rates, there are other sites which will give you more flexibility.